We found Brighton Gardens of Dunwoody to be homey-looking. The one-bedroom apartments are pretty spacious, and so far we've been pretty happy with the care my mother-in-law is getting there. She doesn't want to participate in the activities, but the activities director always encourages her to join. They have a walking group in the mornings and afternoons and exercise programs where most of the clients use a chair to do exercises. They also have sing-alongs, ice cream socials, card club, bridge club, and some other type of games like puzzles. They also take the residents out to eat once a week at different restaurants right around the area, and go on little outings to some of the art galleries or shopping at Walmart. There's also a nice library with a lot of books, and they play games to keep the mind active. Everybody I've met there was friendly and helpful. First thing first, they are in an excellent location. When families come from out of town to visit there are activities all around this community to keep them entertained. They are very well known in the community as they have been around for a while without name changes. Furthermore, they have excellent staff retention. Brighton Gardens Dunwoody is a lovely community conveniently located near shopping and health care. They have a first class food service and offer many options for residents to participate in activities. The community is light and bright and is always a pleasure to visit. The best way to get to know a community is by scheduling a tour. See the facilities, meet the staff and residents, and get a feel first hand what it's like to live at Brighton Gardens of Dunwoody Assisted Living. Located only minutes from Route 285 and Route 400, Brighton Gardens of Dunwoody is located in a residential suburban neighborhood of Atlanta near the Perimeter Mall. Our welcoming senior community offers exceptional and compassionate assisted living and memory care. Brighton Gardens of Dunwoody is part of Sunrise Senior Living. At Sunrise, we help seniors maintain independence and dignity by providing the best lifestyle and service options. 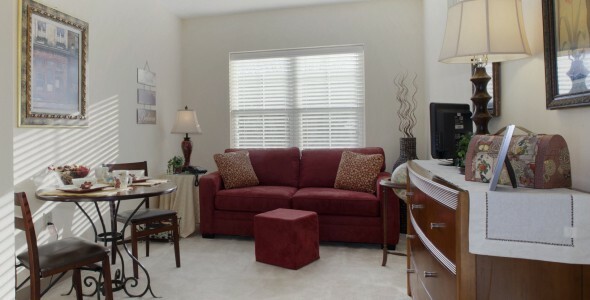 Personal living spaces at Brighton Gardens of Dunwoody are available in a choice of layouts. Tastefully appointed suites feature wall-to-wall carpeting, roomy closet space, large baths and kitchenettes. Weekly housekeeping and laundry service make life easy. Residents enjoy the spacious, elegant common areas found throughout our community, where they can relax, watch TV or socialize. The library and the bistro are both pleasant spots for reading the paper over a cup of coffee while the exercise room offers the opportunity for a morning workout. Outdoors, our enclosed courtyard offers winding footpaths and charming garden seating. The attentive, caring staff at Brighton Gardens of Dunwoody are available around the clock and readily assist with daily tasks of living like bathing, dressing and medication reminders. At the same time, however, we deeply respect residents' independence, privacy and dignity. We offer a unique selection of engaging activities and outings for all residents including on-site cultural programs and fitness classes as well as scheduled group transportation to local attractions or personal appointments. After a busy day, residents can partake in delicious gourmet meals served tableside in the formal dining room, where staff can assist with eating if needed. Our innovative, multi-level care approach to memory loss effectively engages residents with Alzheimer's and dementia in stimulating activities that enhance their independence and help them feel successful in their everyday lives. At Brighton Gardens of Dunwoody, we truly respect and honor the full range of needs and desires of our residents.